Within a few short years, building and designing “green” has become a familiar standard not only within the building industry itself but also from building owners/operators and homeowners. In North America, one of the most popular and recognized green building programs is LEED. But what exactly is LEED and what does it mean to have LEED certification? Also, how do building materials like spray foam insulation contribute towards LEED certification? Icynene’s Building Genius takes a high level look at LEED and how spray foam insulation can contribute. The U.S. Green Building Council’s Leadership in Energy and Environmental Design program, more commonly known as LEED, is a third-party verification program for buildings striving towards being resource efficient. According to the USGBC, around 1.85 million square feet are being LEED certified daily, which is, when you think about it, an incredible uptake towards building “green”. The LEED Green Building Rating Systems are voluntary, consensus-based, and market-driven. Based on existing and proven technology, the rating system evaluates environmental performance from a whole building perspective over a building’s lifecycle, providing a definitive standard for what constitutes a green building in design, construction, and operation. Depending on the total number of points the building has acquired through the LEED program, the project can achieve a Certified, Silver, Gold or Platinum certification. The program is suitable for all project types from homes to as large as neighbourhood developments. The U.S. Green Building Council has a great simple video that quickly explains the LEED points system. How does spray foam insulation contribute toward LEED points? 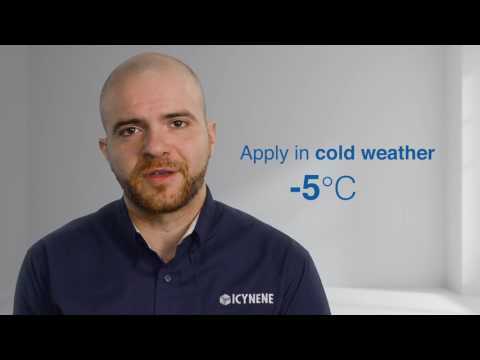 Minimum Energy Performance (A2) – In this category, there are three options in which sprayed foam insulation like Icynene can contribute towards meeting minimum energy performance improvements. The first option is 10% for new buildings or 5% for major renovations (ASHRAE Standard 90.1-2007). The second option concerns ASHRAE Advanced Energy Design Guide for small office buildings/retail buildings/warehouses and self-storage facilities, while the third option addresses the Advanced Buildings Core Performance Guide developed by the New Buildings Institute. Optimize Energy Performance (EA1) – Up to 11% of overall energy savings can be achieved through the inclusion of spray foam insulation like Icynene versus traditional options. Recycled Content (MR4) - The 3.4% by weight of recycled content (normalized by adjusting for pre-consumer versus postconsumer) of Icynene ProSeal and Icynene ProSeal Eco closed cell foam insulation product can contribute towards the 10-20% of building material, based on cost, required to be made of recycled material. Minimum Indoor Air Quality Performance (IEQ1) – In this category, Icynene’s ability to reduce air leakage and accompanying moisture movement can contribute to meeting the minimum requirements of Section 4 through 7 of ASHRAE 62.1-2007, Ventilation for Acceptable Indoor Air Quality. 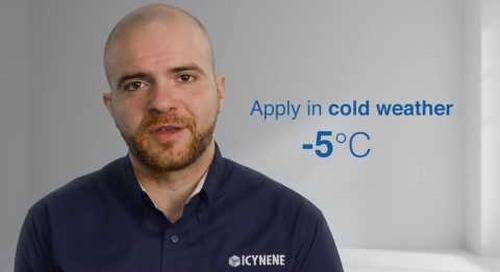 Indoor Chemical and Pollutant Source Control (IEQc5) – The low permeance of Icynene’s water-blown closed-cell spray foam innovation, Icynene ProSeal Eco can contribute towards the air sealing and compartmentalization of spaces where hazardous gasses or chemicals may be present. Optimizing Energy Performance (EA 1.1) – The use of spray foam insulation like Icynene could help meet the performance requirement of an ENERGY STAR-labelled home in this prerequisite category. Exceptional Energy Performance (EA 1.2) – Sprayed foam insulation is able to contribute up to 5 points in this category due to energy savings of up to 12.3% being achieved with spray foam insulation products versus traditional options. Insulation (EA 2) – Through high R-values and by greatly simplifying the effort required to achieve HERS Grade 1 workmanship, foam insulation can contribute two points in this category.  Environmentally Preferable Products (MR2) – Icynene foaming insulation solutions are Collaborative for High Performance Schools (CHPS) EQ 2.2 Section 01350 compliant. This means that they meet nationally recognized requirements as a low-emitting material in accordance with the California Department of Health Services Standard Practice. Recycled Content (MR4) - The 3.4% by weight of recycled content (normalized by adjusting for pre-consumer versus postconsumer) of Icynene ProSeal and Icynene ProSeal Eco closed-cell foam insulation product can contribute towards the 10-20% of building material, based on cost, required to be made of recycled material. Optimize Energy Performance (EA1) - Up to 14.3% of overall energy savings can be achieved through the inclusion of spray foam insulation like Icynene versus traditional options. Minimum Indoor Air Quality Performance (IEQ1) – Spray foam insulation’s ability to help reduce air leakage and moisture movement can contribute towards meeting the minimum requirements of Section 4 through 7 of ASHRAE 62.1-2007, Ventilation for Acceptable Indoor Air Quality. Minimum Acoustical Performance (IEQ3) - Foam insulation such as Icynene open cell products may contribute towards meeting maximum allowable background noise levels (as described in Annex B of ANSI S12.60-2002 of 45dBA in primary learning spaces. Low Emitting Materials (IEQ4) – Icynene spray foam insulation products are Collaborative for High Performance Schools (CHPS) EQ 2.2 Section 01350 compliant, meeting nationally recognized requirements as a low-emitting material in accordance with the California Department of Health Services Standard Practice. 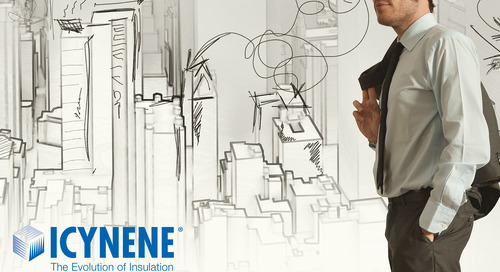 Mold Prevention (IEQ10) – Foam insulation solutions from Icynene have low water vapor permeability and effective air sealing capabilities that reduce moisture transport, helping to contribute towards the prevention of mold growth in the building envelope. According to the USGBC, LEED certified buildings means more productive places with savings achieved from increased building value and decreased utility costs. USGBC estimates that LEED-certified buildings will directly contribute $29.8 billion to U.S. GDP by 2018. Find out how Icynene’s Building Science team can work with you and your firm to better understand how spray foam insulation can be incorporated into your next residential or commercial design, and how our spray foam insulation products can help play a contributing role in achieving LEED certification.